50 Years After MLK's Iconic Speech, What's Your Dream? 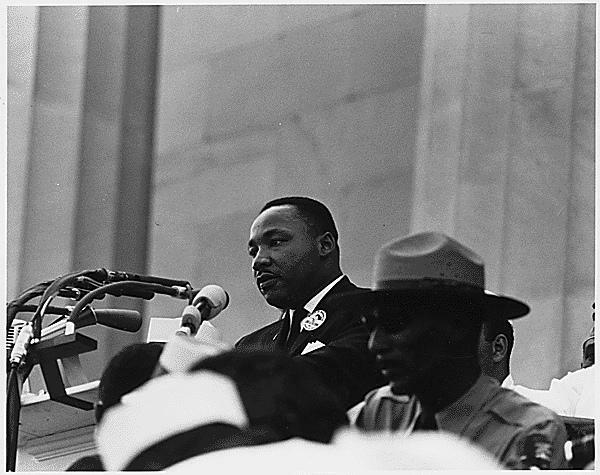 Dr. Martin Luther King Jr. speaks at the 1963 March on Washington. Fifty years ago today, Martin Luther King Jr. led the March on Washington, where he delivered his historic “I Have a Dream” speech. KUT recently went to the streets, asking random Austinites to complete the phrase "I have a dream (that)…" Their responses may surprise you. Listen in the audio player above. Leave a comment below: How would you complete the phrase, "I have a dream … ?" Thousands gathered under gray skies in Washington, D.C., on Wednesday to mark the 50th anniversary of the 1963 March on Washington. They gathered in the exact same spot where the Rev. Dr. Martin Luther King Jr. delivered his "I Have a Dream" speech, and many of the same themes — equality, dignity, unity — echoed through the crowd. 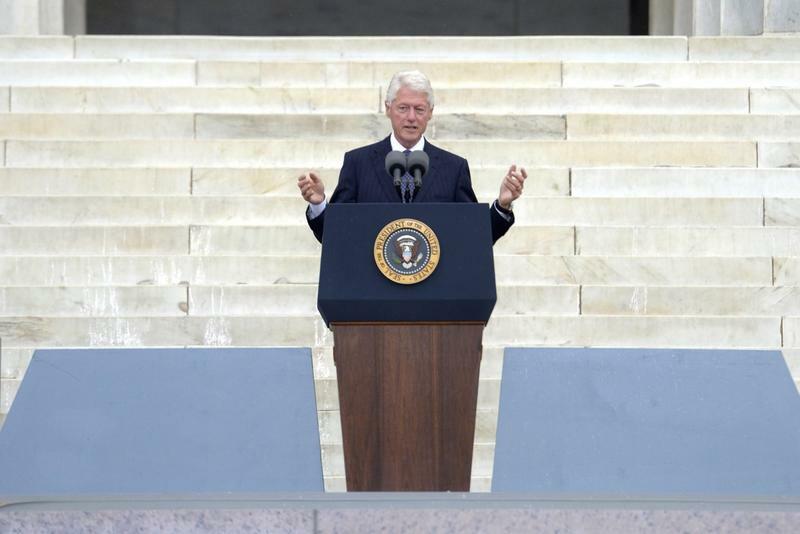 President Obama was joined by the King family and former Presidents Bill Clinton and Jimmy Carter on the steps of the Lincoln Memorial.